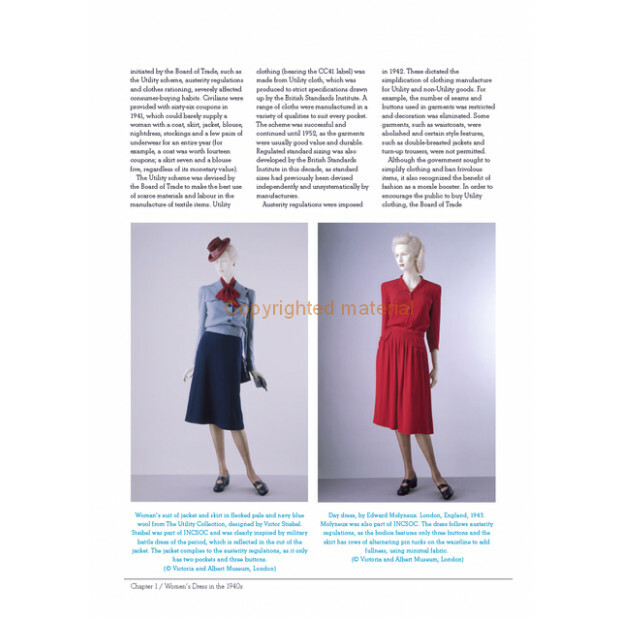 The 1940s were an iconic period of women's dress history, with the familiar square shoulders, crepe tea dresses and seamed stockings paired with red lips, victory curls and head scarves. 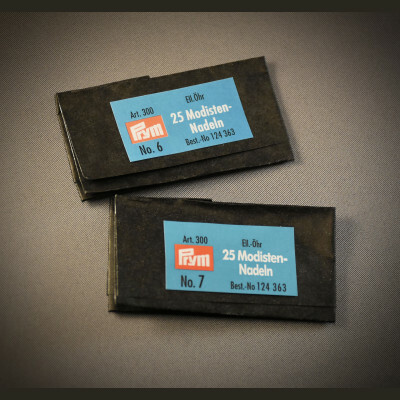 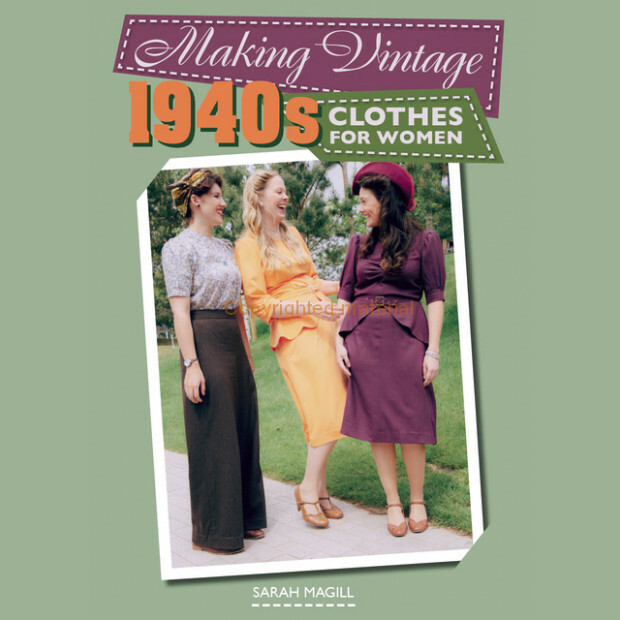 This book explains the period's sewing techniques and makes a range of 1940s outfits to recreate the look of those vintage years. 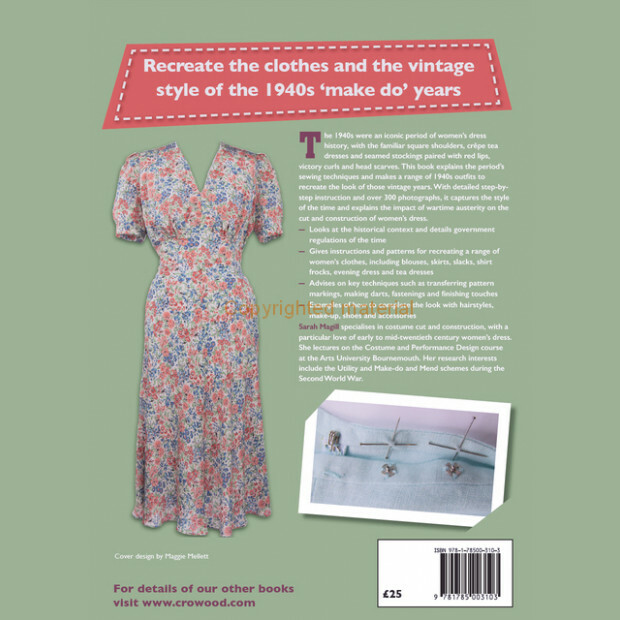 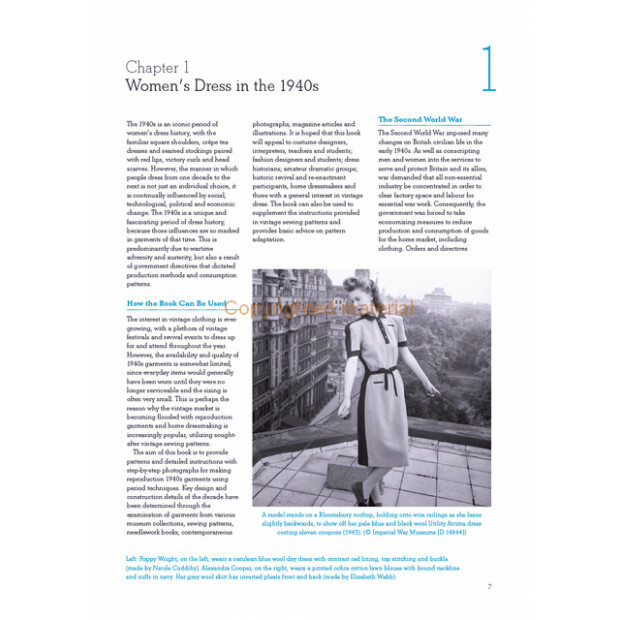 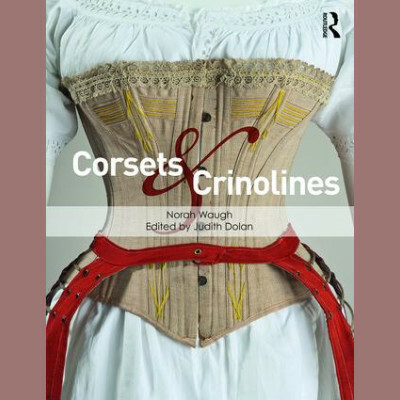 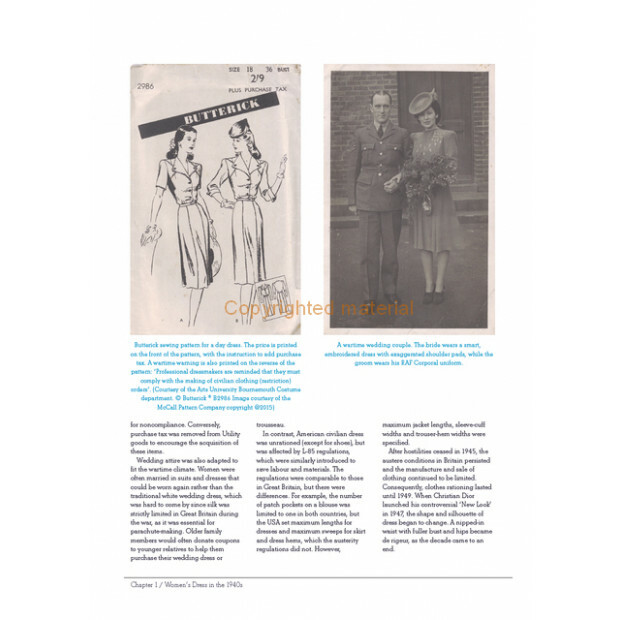 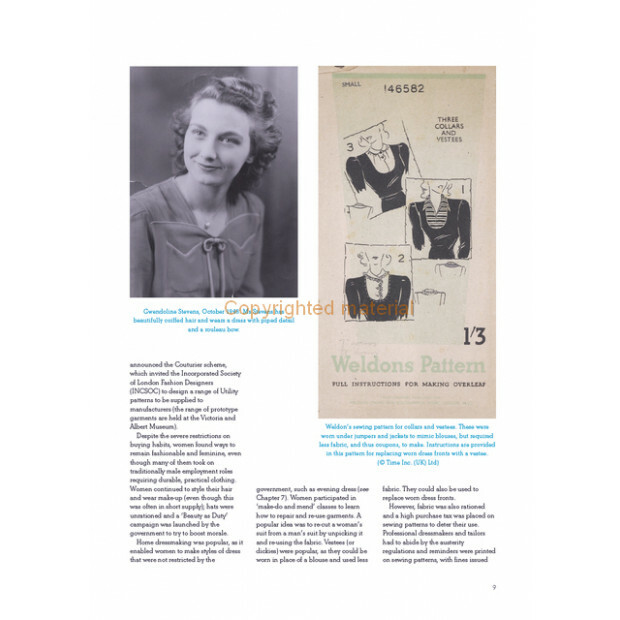 With detailed step-by-step instruction and over 300 photographs, it captures the style of the time and explains the impact of wartime austerity on the cut and construction of women's dress. 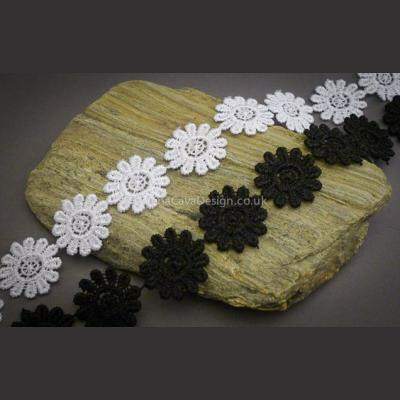 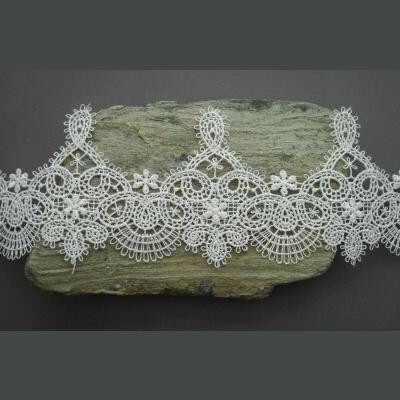 Delicate and Complex Lace trim in Black or WhiteApprox 60mm deep, pattern repeats every 55mmSold by the Metre or on 16m Rolls.